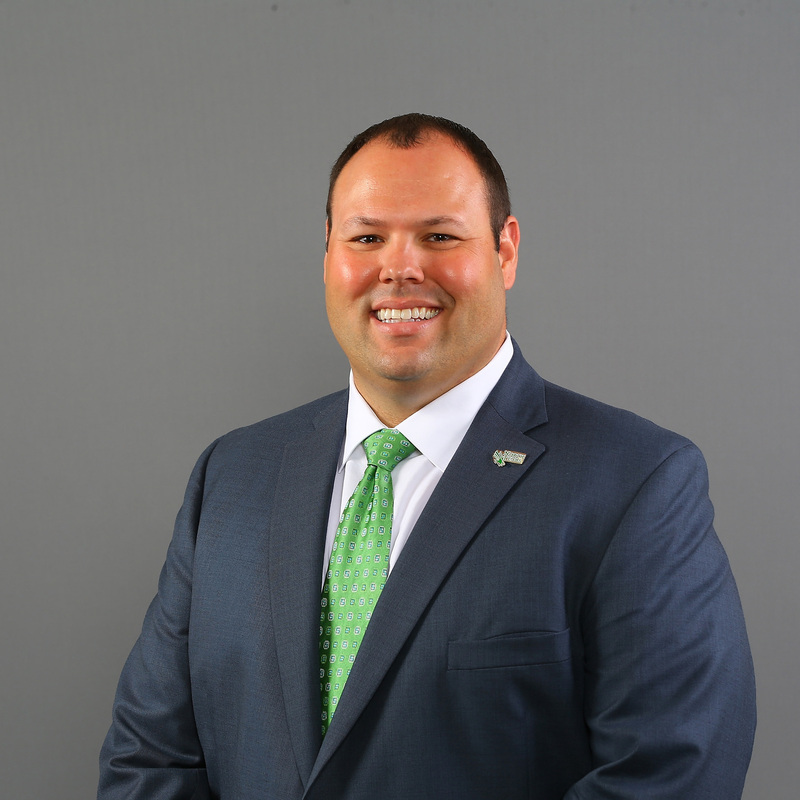 Wren Baker was named the University of North Texas Vice President and Director of Athletics on July 29, 2016. Baker was hired as the Deputy Director of Athletics at Missouri in 2015 after serving in a similar role at Memphis from 2013-15. At Missouri he was responsible for assisting the athletic director with the administration of the SEC athletics program. He led the athletic department's external relations team, including development, marketing, licensing, the ticket office and strategic communications. During his first year at Missouri, Baker oversaw the implementation of a new annual fund model and restructured the external team. During Baker's tenure at Memphis, the Tigers secured the largest gift in the university's history, set a school record for suite sales and multi-media rights revenue, and grew Memphis' scholarship fund. Originally from Valliant, Okla., Baker earned his bachelor's degree in education from Southeastern Oklahoma State in 2001 and his master's degree in education leadership from Oklahoma State in 2003. At Oklahoma State, Baker was operations assistant for the Cowboys' men's basketball program. After college, he became principal and athletic director for Valliant Public Schools and, at age 26, was the youngest principal in Oklahoma. From 2006 to 2011, Baker was the first athletic director at Rogers State in Claremore, Okla., where he was also the first men's basketball coach in school history. His team went 20-11 in its first season, after which Baker relinquished his coaching duties to concentrate on his administrative duties. From 2011 to 2013, Baker was athletic director at Northwest Missouri State, where he secured the largest gift in the athletic department's history. Under Baker, Northwest Missouri saw its revenues increase by 60 percent. Baker and his wife Heather have two daughters, Addisyn and Reagan.